QUADTEC-101 is a mystical instrument from the future created from plans collected in a time-machine joyride reengineered for today by cctv.fm ~ an instrument beyond the relativity of the beholder! 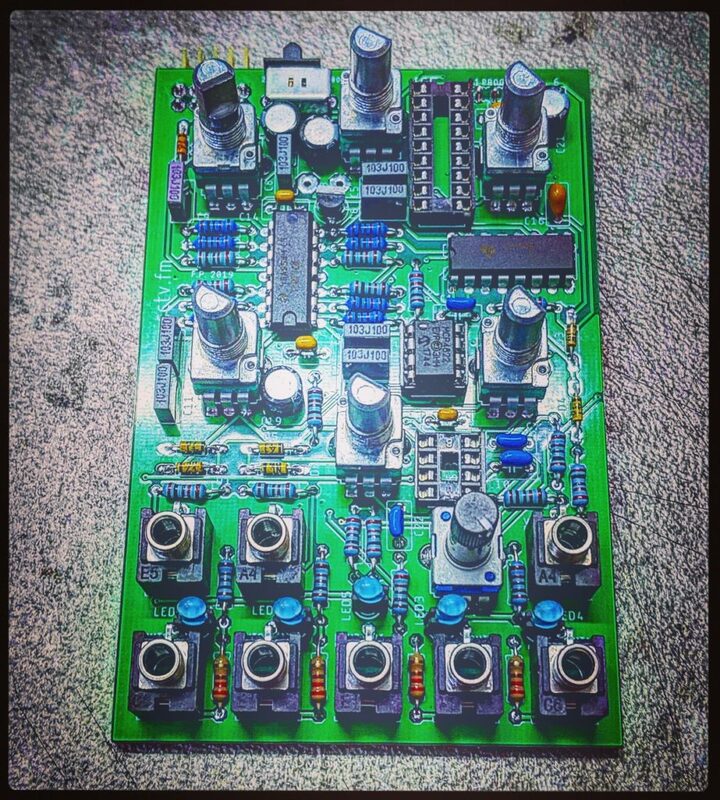 The workshop is beginner to intermediate which is a feat of creativity and engineering on behalf of Fil at CCTV.FM in light of the magic of QuadTec-101 synth. Quadtec-101 is a dual oscillator digital synth that can output a quadraphonic sound (4 outs) with movement between the speakers using complex panning and attenuation and other magic. In normal stereo, Quadtec-101 capitalizes on this complexity to create a 3D motion with complex harmonics and easy to use interface. Quadtec-101 is a standalone synth and it can be mounted in a Eurorack form. 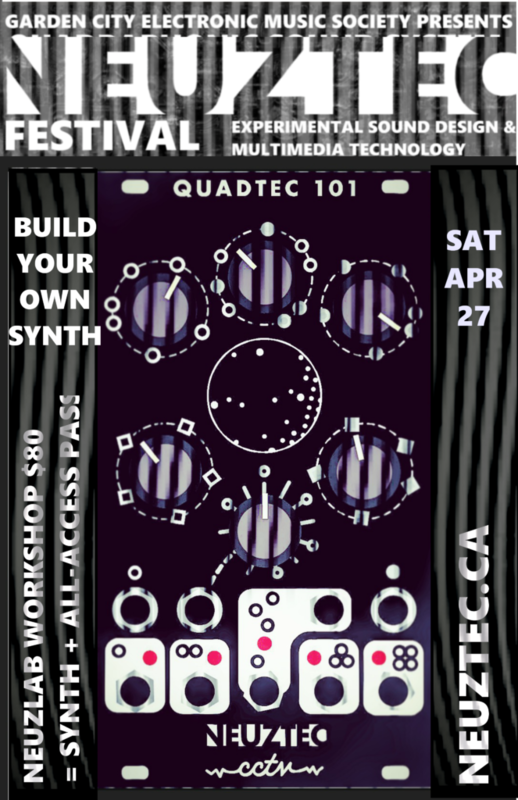 The cost of the workshop is $80 which inlcudes the workshop, the synth, and all access pass to both evening performances of the NeuzTec event. The workshop will be at the Intrepid Theatre and builders will have access to a professional Quadraphonic PA sound system to test your new creative instrument. QUADTEC-101 KITS ARE LIMITED SPECIAL EDITION! IF YOU ARE INTERESTED PLEASE FILL OUT THIS FORM SOON! IT IS FIRST COME FIRST SERVE FOR LIMITED RUN KITS SO WHEN THE SPOTS ARE FILLED A NOTICE WILL BE PUT HERE AND THE FORM WILL BE TAKEN DOWN.